Is your healthcare startup ready to launch? Every now and again, I have to tell the owner of a healthcare startup that they are not yet ready to sell to hospitals. It takes them by surprise, as they are always incredibly passionate about their product and the way it will help millions of people. 1. You are not focused on a specific goal. Entrepreneurs feel like they are changing the world – and they might be. But their passion often keeps them from focusing. One company founder wanted to hire me but, after an hour on the phone, I could see his goals were all over the map. He wanted to sell to hospitals, but he also wanted to raise awareness on a major health issue. He wanted to sell to outpatient and residential facilities, but he also wanted to change the entire way hospitals handled his target patient population. These are all worthy goals but, to be in business, you need to know which is most important to you. Especially in the startup phase, you cannot aim for everything at once. If you want to raise awareness, that’s great – but it requires a very different strategy than selling a product to hospitals. 2. You have the same message for everybody. This is another of those situations where the passion of entrepreneurs can get in their way. Entrepreneurs can get so excited about what they offer that they don’t realize different people will be interested in it for different reasons. It’s great if they can see why a patient will like it, but that won’t be sufficient to get the CFO on board. It’s great if it helps the nursing staff, but will the CIO think it’s worth the effort? To sell to hospitals, you need a clear message for everyone involved in making the decision to buy. 3. You are unaware of regulatory requirements in your industry. Most entrepreneurs who deal with any kind of data are aware of HIPAA – although I have still met some who are (inaccurately) convinced it doesn’t apply to them. But there are other regulations that apply only to the sales and marketing world. In one case, a vendor was cited for accidentally blocking the fine-print warning at their trade show booth. More frequently, the situations have to do with whether you can treat a prospect to dinner or send them gifts. There may even be regulations restricting what you can give away in a trade show contest. These regulations can vary from state to state, so you need to know the rules wherever you sell. 4. You think getting doctors on board is sufficient. The time is long past when pitching a doctor was enough to make a sale. Nowadays, especially as practices are bought up by larger health systems, the doctor is no longer the decision-maker. Your marketing strategy needs to include a path for getting several stakeholders on board and ready to sign. You need to know which roles are going to be involved in the decision to buy your product – and develop a plan to get them all on board. 5. You don’t realize you will need a champion. The other side of thinking you only need to sell the doctor is not understanding their role as potential champion. While doctors no longer have sole decision-making power, they are a powerful force in getting more people excited about your product. You want to cultivate doctors (and nurses, and any other relevant stakeholder) as champions, so they can get the rest of their team to the table. 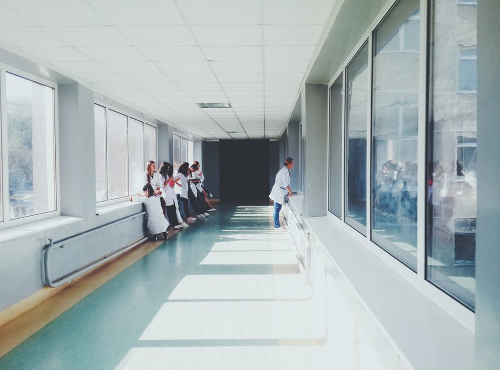 Selling to hospitals is about more than just your product. Before you can sell to hospitals, you need a solid marketing strategy. You need to know who is involved in the decision to buy and what message resonates with each of them. You need to know who signs the check, who is likely to champion your cause, and which regulations apply to you. Get all that in order and your startup will be ready to sell to hospitals.